Haunting, epic metal melodies, featuring piercing, passionate vocals from Lena and dark, intense guitars and symphonics. 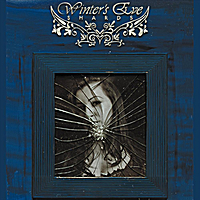 Winter's Eve take the symphonic, female-fronted metal style of bands such as Within Temptation, Nightwish and Evanescence, and add progressive sophistication, epic production and brutal raw metal power, whilst keeping the beauty and subtlety of gothic music throughout the maelstrom. "Shards", their debut album, showcases the diverse talents and influences of these remarkable musicians. Lena's vocals bring you love, hate, anger, longing, grief, sorrow, often all at the same time. Lena more than sings, however, she performs, laying her feelings bare to the audience in a maelstrom of movement and intensity, and that passion is captured in this recording. Axeman Jim, Storm and Klepsy lay down a dark, intense background of roaring guitars, pulsating rhythms and epic orchestration that ensure that the power and passion does not let up for a single moment. I've been anticipating this release for a long time coming! Winter's Eve is a fresh twist on classic metal sounds, filled with hard-hitting riffs and epic guitar solos that every metal enthusiast will enjoy!